The roof faces direct sunlight every day so it is no surprise that we are looking for more ways to get an energy efficient roof. First off, some of these tips may require approval from your HOA (Home Owners Association) so it is important that at anytime before you begin building or replacing your roof that you check with your HOA. There is nothing worse than being told midway or sometimes later through a project that you have to stop or redo the work that you have done. The following are just a few ways that you can make your roof more energy efficient. 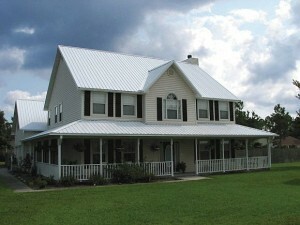 This is also referred to as a “cool roof” and in fact, helps cut energy costs. This type of roof is ideal for warmer climates. Learn more about cool roof product ratings to ensure you select the product that best suits your home by clicking here. 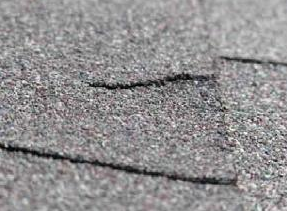 We explained in our last blog that poor attic ventilation can damage your roof, but inappropriate material can also damage the integrity of your roof. 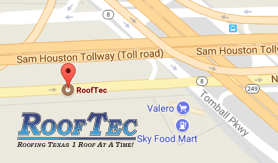 Be sure when installing a roof that you verify that it is rated for Houston’s climate. A better price can sometimes mean cheaper material that is not able to handle the Houston heat. Here in Houston we have access to the Greater Houston Builders Association and their knowledgeable staff and network of both builders and associates. If you are ever unsure about a contractor, material or just wish to get the latest information on energy efficiency tips visit the ghba website, here. Many builders and remodelers around Houston are looking for more ways to be energy efficient, but when it comes to selecting the right contractor for the job look to the GHBA and the BBB for help.